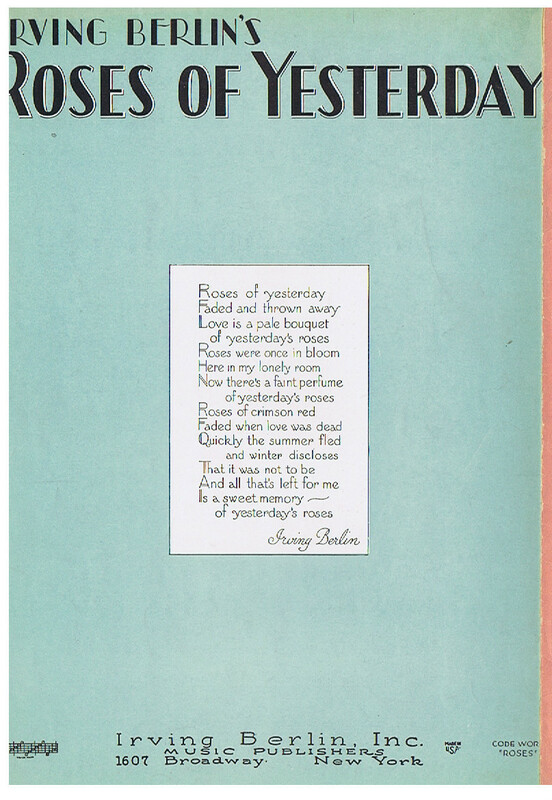 “Roses of Yesterday” was originally titled “Roses,” and did not appear to be written for a production. It was recorded in 1928 by Fred Waring and the Pennsylvanians (Victor 21676). 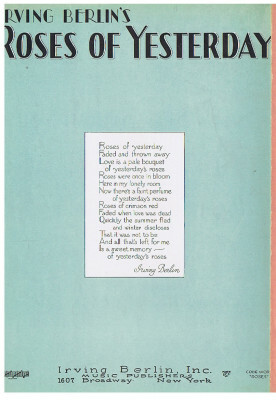 “Roses of Yesterday” was recorded on April 30, 1952 and released as single that year. It was arranged by Percy Faith.